baculoFECTIN II is a novel nanoparticle-based transfection reagent specifically developed and optimised for the transfection of insect cells. 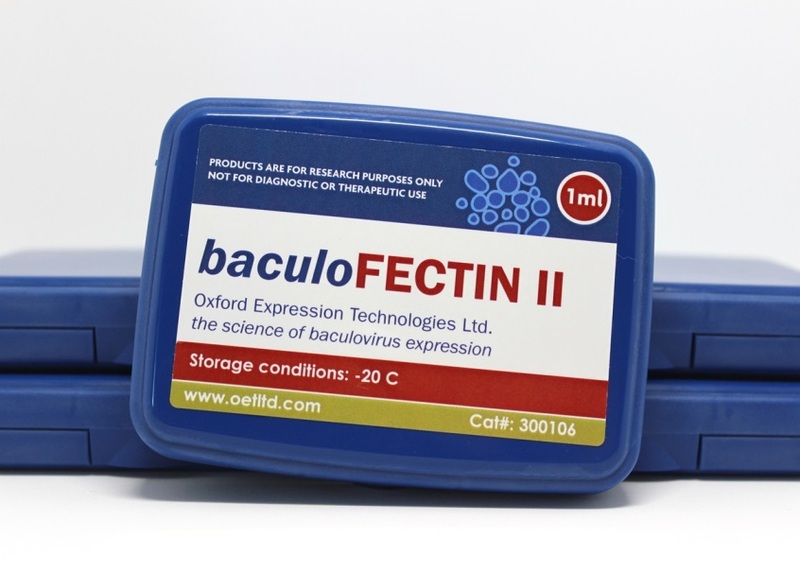 Non-toxic, simple to use, and efficient, baculoFECTIN II transfection reagent is an excellent choice for producing high titre recombinant virus stocks whilst maintaining cell health. Our transfection reagent is compatible with multiple cell lines and baculovirus expression vectors includuing our own flashBAC™ and BacPAK6 technology.